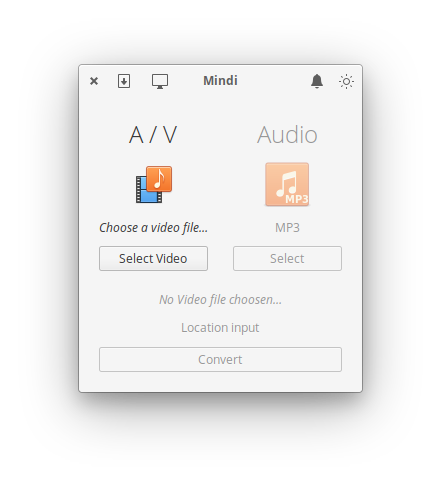 Option to quickly convert to audio. Get from web stream base. Use from context menu: right click on video or audio file, and select Convert to Audio. Use from Applications select video. Convert to MP3, M4A, OGG, WAV, WMA, FLAC, Etc. Get Mindi and more on elementary AppCenter, the open, pay-what-you-want app store for indie developers. Every app is open source and has been reviewed and curated by elementary to ensure a native, privacy-respecting, and secure experience. Download from web stream base. Change find folder from icon location. Fix input name as output name.